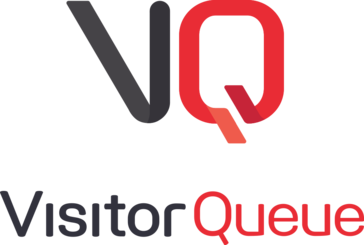 Visitor Queue is a B2B lead generation software designed to identify the name, contact details and user data of the businesses that visit a website. We did a great deal of research and shopped a number of vendors and the options and price that VisitorQueue offered were the best we found. The fact that they integrated directly with google analytics really shortened the onboarding and set up time. Also, the fact that they had an option for a month to month contract was great since we are still testing the functionality of an IP tracking software for our company. Tracking the larger enterprise level customers and prospects that visited our different web properties, but may not be currently tracked via Hubspot. Our sales team loves the option to be able to see what their current prospects are doing on our sites without requiring them to take a specific action. "Great Tool For My Digital Marketing Company's Clients!" The setup was easy. In only a few minutes we got a month's worth of valuable website usage insight and saw specific companies that were visiting their site. For our B2B clients, this is invaluable. There is really nothing to dislike about VisitorQueue. The system is very solid and costs far less than some of the competitor sites. Possibly the only negative I've seen so far is that as an agency partner since their leads are counted on a first come, first serve bases, this made it difficult for us to resell the service under our company's account. Because if one of our clients receives a lot more traffic than another, there is the chance that the high-traffic site could claim all the leads for a month before the smaller site had a chance to claim as many leads before the overall companies tracked reached the monthly limit. But I spoke with Visitor Queue regarding this issue and they are planning a solution for this now. I have evaluated several similar products over the years for my clients. The higher entry price point on other systems has always been a challenge that we couldn't overcome. VisitorQueue.com gives you all the information that you need for a fraction of the cost. For our agency, it helps us offer a tool that many of our B2B clients didn't know existed. "Great for BtoB lead acquisition and nurturing." We use Visitor Queue in the context of BtoB lead acquisition and nurturing and Visitor Queue is a great tool to identify companies and organization that either enter or travel down your acquisition funnel : they come to your website ! This simple information can then trigger a lead identification or reactivation process, which is facilitated by VQ, as it can feed into your CRM (we use Zoho). Not much, the tool is well conceived, a real-time view would be very useful to know what companies visit our site right during or after a phone call ! Check the trial version to know if Visitor Queue is right for you : simplest set-up in the world. BtoB lead acquisition is made so much easier with Visitor Queue. Its main benefit is the production of a key insight : who is visiting your website ? "Great source for leads from our site"
Visitor queue works like a charm providing full data from customer and projects visiting our site looking for products. We get location, company names and many times even social media content. Give it a try. Great tool. We have dramatically improved the leads generated from our webpage. Our website is an institutional and product oriented rather than e-commerce so there aren't many option for the customer to interact with us. "Easy to get started, ROI in your first week." Super easy to get started. You'll be up in minutes. See who is visiting your site immediately. Presents the information in an easy to consume and filter format. Haven't run into a hurdle yet. It doesn't give you personal email or phone, but most don't without an additional charge to a data service. Make sure those that it can benefits are ready to help with the evaluation and push for executive approval if it meets their requirements. Finding leads that are interested in our brand, have taken the step to come visit us, and yet they are not yet in our CRM system. Without a visitor tracking system, we would have never known key targets were interested in us. We can now have our sales team call on those targets right when they are showing interest. "Easy and cost effective tool. " Very easy to setup and get going from the get go, not much labour involved to get everything setup. Once you're in it's amazing the insights you can quickly and easily pull about who's checking out your website. Nothing to dislike yet, would hope that one day the main list view of who's visited allowed for a tag field to filter out options easier of those that continue to visit your site but you still want to know as well. Use the free trial to your advantage and make sure you have your filters setup. Take the time to book the demo and understand the software. Unlocking new opportunities of who may be interested in working with us as well as understanding pain points of where the site is not performing as well. "Fantastic Tool for Monitoring Website Traffic"
What I like about Visitor Queue is that it does exactly what I'm looking for: a tool that helps track visitor traffic by IP address. My favorite feature is "Hidden Companies" which allows me to remove non-relevant traffic and to focus exclusively on real leads. I haven't run into anything that I don't like. We can track interest in our services by existing and prospective customers.For the former, we can alert our engagement leads when someone from a customer is on our site, what they're looking at, and more. For prospective customers, we can see what prospects are looking at and feed that information to our sales reps. The onboarding was really easy and in no time you got relevant data to start your sales strategy. Besides, there is an easy way to customize your feed and create auto-assign rules that allow us to simplify the workflow to our sales team. I cannot think of much that I dislike though it could be nice to have a centralized dashboard with all the websites stats. I mean, this service has decreased significantly the amount of time we spend in GA and this one thing could do the rest. Sign in for the trial and demo. Try it yourself and compare with other services costs. Warm leads or Marketing Qualified Leads detection is the one key problem we are tackling. There are some automatization aspects that could be improved but I have actually asked for those and they confirm those are on their roadmap. The software is very simple to deploy and just works. The interface is simple and intuitive and allowed us to very easily get set up. With a connection through Zapier, we get all the new leads right into our CRM. Excellent system. Nothing really to dislike other than a large percentage of visitors don't have contact info but I think that is changing as the database grows and new technologies are deployed. Certainly not a show stopper! Get on it as soon as you can, it's great! We have greater insight into who is visiting our website, for how long and what they are looking at. With the provided contact information we are able to appropriately reach out to these visitors and close sales! "Great Tool that Every Sales and Marketing Department Should Invest In"
It's very easy to use and set up and the customer service is exceptional. If I have a question Nick is always quick to jump on a call or send me a quick email with the steps I need to follow. I like the feature of being able to set up multiple cues for myself as well as any users I've added. It allows me full control and doesn't stress my team out with doing it themselves. Don't hesitate. It's a tremendous tool and priced very competitively. It's allowing us to gather new leads, follow up with customers we haven't visited in a while, track regional activity, get a better understanding of which products are being viewed and a multitude of other benefits. It's great to use before visiting a customer. You can see what products they are interested in and become prepared to talk about them. "Visitor Queue for lead generation"
No scripts added top your site and therefore no extra http request. Works with the data collected by Google Analytics. Saves time and effort converting GA data to company research. The mobile experience needs some work. Also, there's no visual data indicators like charts etc. to help visualize the data as trends or comparisons. Sometimes it picks up ISP information or social networks as referrals. If you have a decent amount of traffic going to your site VQ will be a helpful way to research company info. I tracked recruiters during the trial. In the long run though, I actually value the insights more that the name of the company that's looking so I'd be interested to see how the product continues to improve in that regard. During the trial period I used the lead information to determine when companies viewed my portfolio and which pages they spent the most time viewing. "Easy To Use For Lead Generation"
I like the fact that it gives me the right insight on how to manage my B2B for my business and manage my customers. The setup is nice, the security is tight, and it is easy to use for beginners. I dislike the fact that, it takes some time for me to get any reply via mail from the customer care. Since its very easy to use and it guarantees 99.99 percent security I strongly believe newly established business owners should definitely use Visitors Queue. The problem of getting across to customers that will purchase my products has been eased out since I started using G2 crowd(visitors Queue). "Great software that gives us unprecedented insight into our site activity"
The daily reports (automatically sent to as many team members as a company would like) are informative all on their own, giving us immediate insight into site visitors, their locations, etc. Also allows for further exploration into stats on the VQ website. Easy to use. Nothing has stood out as a critical issue or inconvenience! UX could be improved by chronological ordering in the daily update emails, but this would just be an additional benefit. I presume they are already working on this. Definitely ask questions if you're unsure about their differentiation - you won't be disappointed. The team is happy to explain, answer questions, and have the software's excellence speak for itself. Wanting to understand who visits our website & when, where they are navigating from, and what they are doing. VQ stands apart from other softwares in this space, especially for their excellent customer service and team. "Helpful and easy to use." The ability for Visitor Queue to give me a list of businesses who have visited my site and the key contacts and information on that company. It makes b2b sales leads so much easier than having to cold call businesses. I have not had any major problems so far with Visitor Que. Very simple and easy to use. Has made getting qualified b2b leads much easier. Main problem that we have solved is getting a list of business that we can reach out to, The benefit is that many of them know who we are and have already visited the site. "Super Intelligent and Easy To Use"
Incredibly clean dashboard, which I love. It is so easy to set up. It takes literally a few minutes for an intermediate or advanced user to begin understanding and using this software. For a novice, it is still very user friendly. The leads can easily be assigned to anyone you choose. You can export the lead, email it, put it in queue, or archive it. The bottom where I can select an option of what to do with my leads, I would like it to be more noticeable. Not having a way to contact the person that was on my site with an email. I dislike the peach and brown bar and font combination in the dashboard. It gives me people who are coming to my sites. I can now reach out to potential clients much more easily. It have definitely broadened our horizons. We have noticed interest in our company worldwide. So now we see the need for expansion in some new countries. "Nice view of who's been on your site"
It's nice to be able to see what visitors you've had on your site, and how many pages they viewed. Very few companies have full contact info, so it may be hard to contact the company that's been on your site without extensive researching. There are a surprising number of competitors out there for this product now, so you can shop around. But Visitor Queue works really fast and offers good information. Knowing what companies visited our website, ability to reach out to those that may have visited our site but not contacted us. "Automatic Leads from your own traffic? Yes, please!" We like the simplicity of Visitor Queue. It's pretty much plug and play. Once you install and configure it, it will give you a slew of data pretty much the next day (if not earlier). Not only that, but besides companies, you also get sources of trafic. All of it right in your daily email report. Sometimes the data cand be a little bit hit or miss. For example there are situations where you find you're visited by an internet company. But that's just the provider for that company. I'd just give it a try at first. And see if it helps. Leads are automatically converted from our traffic. We use additional lead capture devices, but Visitor Queue gives us a very good starting point for that situation. "Easy to set up and use to track visitors on your website." If you are unsure, do the free trial and see for yourself. I mainly use Visitor Queue to track where visitors are coming from, who they are and to pinpoint potential leads. "A valuable tool for for finding potential clients"
I really like the ease of use of the software and the ability to see in-depth info on each visitors path to your site, what they checked out, and who it might be from that company! The only thing I could say is that i wish I knew who the person was exactly every time! But I know that is impossible. Just keep it up! Knowing where my visitors are coming from with detailed accounts of them like website, address, and phone number. Visitor Queue is beneficial to use for understanding potential clients who are interested in your company, and therefore, may be potential clients. Moreover, it is beneficial for lead generation but it requires some research to take it a step further and look for names and contact details from within an organization to contact. "VQ is a tool you need to use"
It's easy to get started and the results are almost immediate. Plus, the customer service is top notch. There really isn't anything I dislike at this time. Definitely worth trying this solution -- far superior and more affordable than it's competitors. VQ offered my client an opportunity to track visitors to his website with some contacts provided so you don't have to do all the work to hunt down email addresses. "Taking a cold call and making it into a warm lead"
Very user friendly! Easy to navigate, assign accounts and to view client page visits. Absolutely nothing I dislike at this time. Well worth it! You will see your ROI very quickly. Finding leads that are interested in specific courses or services that we offer. Allows us to take a cold call and make it into a warm lead as we already are aware of what some of their needs are. "Amazing tool - extremely useful and user friendly! " The support is amazing! Nick is always willing to help us and provide additional workarounds that are the most efficient for us. We are seeing a lot of data come through that we did not have access to before. I wish there were more filter options within the dashboard. The options provided are useful but we'd love to see more! We are able to see who views our website and doesn't convert. We are seeing lots of benefits and interesting data coming through that has been resourceful in recent campaigns.
" Visitor Queue: get all the right visitor info you need "
With Visitor Queue you doesn’t need any special website codes. All Visitor Queue needs is a connection to your Google Analytics account. For me the user interface looks clean but the use of the product took me quite some time to master. Therefore I'm hoping dat some features can be simplified in the future. Overall Visitor Queue is a great solution for Lead Generation. I would recommend it to evey organization with a Sales Dept. With Visitor Queue, the sales team no longer have to work with cold leads. They now deal with potential clients who have shown (minimal) interest in what your company has to offer. Armed with accurate contact details and useful user data, the sales team's success rate will go up with more deals and more efficient business growth for your company. Visitor Queue is pretty inexpensive for what you get. We also use a competitor that charges a lot more money, but they also charge for the contact information of the people who work at the company, whereas VQ does not. Since VQ uses Google Analytics and not its own curated database, not every hit is accurate. Also, not every company has contacts listed with their information. I am kind of on the fence. When the company hit is correct and there is contact information of the people who work at the company, VQ does do what we need it to do. "Simple set up, great value"
The customer service is unmatched. The set up could not be easier. The interface is easy enough for users at any technical level. I was originally looking to gather more targeted insight, but have not yet found a solution - if one even exists. Do the free trial. You'll quickly see if it's right for you, Nick, CEO, answers any questions you might have. We've been tracking businesses on our site for some time. This has allowed us to streamline that process 10x and gives our executives direct insight into visitors - no more manual reports needed. "Valuable info for marketing and sales teams"
The info that you get behind a visit is actionable. Usually, the visitor stats is just a number in a report, this tool takes it to the next step allow you to assign, qualify and follow-up. Also a great tool for marketing to keep their finger on the pulse of the engaged visitor types. There haven't been any issues, the dashboard is easy to use, navigation and all of the tools you need are easily accessible. Ability to provide the next level of detail on your visitors giving you that slight edge to know more about who is visiting and engaging with your websites. "Helpful and Easy to Use Tool"
VisitorQueue is a useful and easy to understand tool. I appreciate the email updates I get every day. And the price is great! I don't dislike anything. Of course, I'd love to know the specific individuals who is visiting my site. As in, if an unaffiliated (with a company) individual visits my site, I'd love to know that as well. We are trying to grow our lead funnel. We need more information on who is interested in our business. This is a great tool to make that happen. Integration with existing Google Analytics code made set up super easy. User interface was very intuitive as well. Would prefer to see more results with user info and/or direct links to social profiles. We're able to better identify who specifically is visiting our site from a business standpoint. This helps us make more informed strategic decisions. "Simple the best and easiest"
I have tried so many visitor identifying softwares in the past, but this one is the most simple and fastest way to know about your visitors. We have actually converted clients by identifying them through visitor queue and then reaching out to them through cold emailing. "Great technology to help us grow our business." I love that it's powered by Google Analytics, allow you to have unlimited websites, require no messy website codes and set up only takes minute. Beta testing has just finished and I'm waiting for the new features. However, I currently don't have any dislikes. I love being able to track my website visitors and become strategic on re-targeting with offline marketing. "Visitor Queue switch from Lead Forensics"
It is very good value and simple. I like that it feeds from Google Analytics so no additional scripts to load. No mobile app and not very friendly mobile website. They are working on these and these don't take much from the platform as we access from PCs normally. Take a trial and test it out. Find who is looking at our website to turn into leads. "Well performing tool for monitoring"
Daily email summary reminds to check analytics. Quick and very easy configuration is also thing I liked. Lite version is limited, but not to much. I think: nothing. So far I didn't find any bugs or problems using platform. It helped me to find what's the prophecy of my website visitors. Nick was super helpful when I had some technical issues setting up my Visitor Queue account. He resolved my business's queries without delay and followed up via email even after the online chat customer help had expired. Thanks for your advice and patience! Nothing! I had a a good experince when setting up this service on my manager's behalf and the help that was given to me. Thank you. My manager wanted me to generate leads, which this helped with. This tool allows us to focus our marketing and engagement efforts saving us time and money. Better filter tools in the "visitor queue contacts" section would be helpful. It provides us with a means to better target prospects. I like that it connects to Google Analytics and I do not have to add additional codes into my website. I would like to be able to upload lists of leads so that VQ will ping me when one of the companies is on my site. If you are looking at getting starting with a sales and marketing tool like this, absolutely use Visitor Queue. You can figure out how to implement in your processes without spending a fortune. Being able to see company names on our website is helpful as a sales prioritization tool. They are able to see if leads they are contacting are engaging with their efforts, and helps them decide how to follow up. "Great software for companies on a budget"
I tried out Visitor Queue for our company. It helps identify people visiting your website, so that you don't miss out on sales. It has a simple user interface and the employees were very helpful, offering to update features as we requested them. Another product's interface was more customizable and worked better when plugging in with other software that we use. It helps your sales team hunt better. Daily emails help with lead generation. I liked the ease of set up, the email reminders and the customer service I received. I find the emails not as professional looking as i would like and there is a bit of a delay sometimes in getting them but we I inquire they are quick to respond and have resolved my issues. Try the free trial you have nothing to lose. It replaced a current system and was much less expensive. "Very useful for our sales team"
I love this tool. We currently use the free version but will be updating to the paid version, which is very reasonable, in the next quarter. I love how it has tracking information our team can actually act upon to generate sales! The UA can be funky in some places, but the team realizes that and are constantly adjusting things on their end. "Great tool for top of funnel research"
The information is presented in a nice neat fashion and is easy to consume. Accuracy of results appears to be very high after initial reviews. The interface could use some polish. The filters could also be beefed up somewhat but someone with Analytics knowledge can pre filter their data view prior to Visitor Queue accessing the information. Michael E. Sloopka - N.
"Visitor Queue - A Must-Have Tool for All Businesses "
The platform performs very well and it does what it is supposed to do. The platform is easy to use and understand. Nothing at this point in the first few weeks of use. "Accurately gets the visitor info but ui needs some working"
"Amazing for B2B business who are trying to find qualified leads "
"Great timely visitor insights. " It is Easy to use and receiving alerts has been very useful. Need a method to better filter bot/spam leads. Understanding the type of traffic and visitors who utilize the site. It has given a deeper understanding of the types of visitors coming through. "Great app to find the proper leads on business"
Nothing. It has lots of features. everything is good. It is helping us to find the great customers from just visitors. Its really great app helped to get more customers. "Good way to better undestand your customer"
"Great lead generation tool "
* We monitor all Visitor Queue reviews to prevent fraudulent reviews and keep review quality high. We do not post reviews by company employees or direct competitors. Validated reviews require the user to submit a screenshot of the product containing their user ID, in order to verify a user is an actual user of the product. Hi there! Are you looking to implement a solution like Visitor Queue?